Juergen H. Haber, age 80 years, of Port Washington, Wisconsin died February 6, 2018 at Aurora Medical Center in Grafton, Wisconsin. He was born December 21, 1937 in Hamburg, Germany to Heinrich and Gretchen Grotian Haber. In 1954 he came to America. He married Helga Wulff on June 7, 1969. 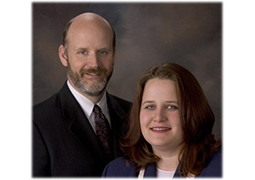 Together they raised a family in Menomonee Falls and Germantown before moving to Port Washington, Wisconsin in 1990. 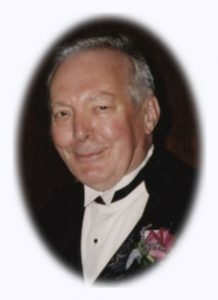 He was a cabinet maker and master woodworker working most recently at D&F Cabinets in Germantown until he retired. Juergen was a soccer player and played for teams in Rochester, New York, California, and in Milwaukee he played with the Bavarian Soccer Club well into the 1960’s. He also sang with the Milwaukee Liedertafel, an all male German language choir. Later in life he made time to watch German Soccer no matter what time of day it was and kept up with current events and politics. He also enjoyed solving crossword and word search puzzles. He is survived by his wife Helga and daughters Ingrid (Bruce) Klopfenstein of West Bend, WI, Monika (Dominic) Burrescia of Cedarburg, WI and Karin (Paul) Sevener of Grafton, WI. Further survived by grandchildren Paul Haber, Marisa Klopfenstein, Tim, Breanna and Nathan Sevener and Siena Burrescia, a brother Karl-Heinz (Olena) Haber of Rochester, NY and their children Alex and Erika Haber. He is preceded in death by his parents. Pastor Kelly Nieman-Anderson will officiate services at 6:30 pm on February 16, 2018 at the Poole Funeral Home, 203 N. Wisconsin Street, Port Washington, WI. Family will receive friends from 4:30pm-6:30 pm Friday at the funeral home prior to the service. 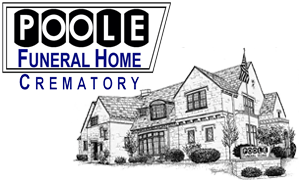 POOLE FUNERAL HOME/Crematory, Port Washington, Wisconsin assisting the family. Information and condolences available at www.poolefh.com or 262/284-4431. Previous Post: Nault, Bernice H.
Next Post: Rilling, Marilyn E.